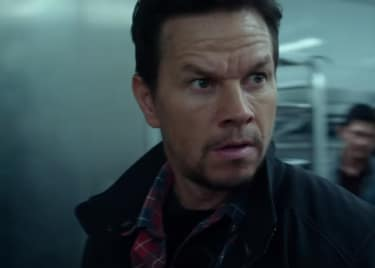 Mark Wahlberg stars in Mile 22, from director Peter Berg. It’s their third film together, and their pairing has resulted in great movies. Their new film promises more thrills than ever, and it has a secret weapon to ensure success. His name is Iko Uwais. The Indonesian actor debuted back in 2009, and he made such a mark in The Raid and The Raid 2 that he ended up in Star Wars: The Force Awakens. Here’s everything you need to know about Iko Uwais, the actor and martial artist who is part of the future of action movies. The 35-year old Uwais is from Jakarta, Indonesia. He met director Gareth Evans while Evans was making a documentary about Indonedian martial arts. When Evans made his first major movie, Merantu, released in 2009, he cast Uwais in the lead role. While that movie was only seen by a small audience, the next pairing between Evans and Uwais would turn heads all over the world. The Raid, released in the US as The Raid: Redemption in 2012, upped the ante not only for the filmmaking pair, but for the action movie world as a whole. Uwais stars in the film as Rama, a cop who, with a heavily armored and elite SWAT team, targets a crime lord hold up in a large apartment building. The crime lord is up at the top and the only way to get to him is by ascending the building one floor at a time – trouble is, there are dozens, perhaps hundreds of armed goons waiting to stop them. The Raid is a non-stop action assault, and Uwais is without question the star of the show. Rama is a rookie, but Uwais turns him into a mesmerizing presence as he fights his way through waves of criminal underlings. The actor is a physical powerhouse, and his movements are all the more impressive given his slim build and youthful face. And while there are plenty of skilled martial artists who look great in motion on screen, Uwais can act as well as he fights. He sells Rama’s interests and emotional state as well as he conveys the demanding physicality of the role. Looking at Uwais’s acting resume only paints a partial picture of his career. Those fight setpieces that blew audiences away in The Raid weren’t just acted out by Uwais; he also worked as the film’s fight coordinator. With Yayan Ruhian, who plays the absolutely evil Mad Dog in the film, Uwais designed and oversaw the film’s stunts. The two worked with Gareth Evans again on sequel The Raid 2. Their work is unbelievable, as the sequel is even more intense than the first film. The Raid 2 is an absolutely relentless barrage of action, which begins just hours after the conclusion of the story in he first movie. Uwais is front and center as Rama once again, in a role that is more physically and emotionally demanding. I was just a fan. It was an opportunity. I knew we needed people for this one sequence that would be particularly fun to see a group of people working together. It was simply just as I had seen John Boyega in Attack The Block and thought “how cool would it be to work with that guy one day?” and the opportunity arose and it worked out. And opportunity arose for this and I thought “God, I wonder if the dudes from The Raid would be available?” And to my amazement, and they were willing, and they were incredible. They showed up and did a terrific job. Uwais got his own sort of sci-fi redemption when he and Ruhian acted in and acted as stunt coordinators for Beyond Skyline. As a sequel to the critically panned Skyline from 2010, this film was overlooked upon release in 2017. But Beyond Skyline is a fun, imaginative revamp of Skyline‘s alien arrival concept. The presence and influence of Uwais certainly helps. 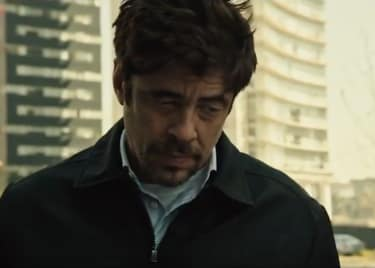 Now, in Mile 22, Uwais plays Li Noor, an Indonesian state cop who accidentally kills the nephew of a crime boss. That puts a target on his back. He partners with characters played by Mark Wahlberg and Ronda Rousey to escape the city, but their retreat is complicated by a whole host of dangerous people who want them dead. We’re excited to see his biggest role in an American action film, and just hope he doesn’t hurt Mark Wahlberg too badly. Mile 22 opens on August 17.